DAYTONA BEACH, Fla. (July 26, 2017) – This Thursday night, American Flat Track (AFT) shifts into primetime to serve as a cornerstone of NBCSN’s Overdrive, a new high-octane motorsports programming block slated to run weekly throughout the summer and fall. Tune in Thursday, July 27, at 10 p.m. 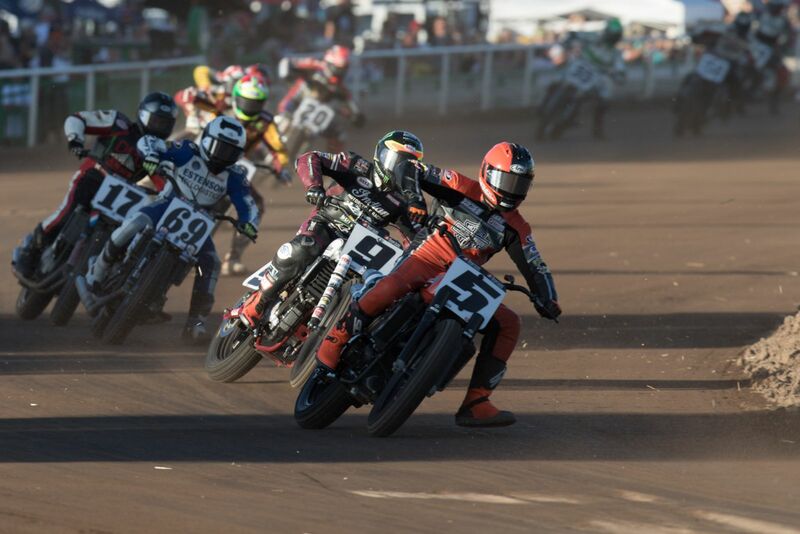 ET (7 p.m. PT) for an hour of gripping flat track motorcycle racing as NBCSN provides coverage of the Law Tigers Arizona Mile presented by Indian Motorcycle. Every American Flat Track show within the Overdrive block has been expertly produced with intense onboard camera footage, slow motion replays and behind-the-scenes feature content to showcase the 140mph+ tactical warfare and sub-tenth-of-a-second victory margins that define the sport. Overdrive fans on Thursday night will be treated to an absolute barn burner from flag-to-flag in the AFT Singles Main Event, providing an early indication of the brilliance to come from AFT Singles standout Shayna Texter. The final half of the program goes in-depth with the Factory Harley-Davidson and Indian Motorcycle squads, followed by an epic shootout between teammates Jared Mees, Brad Baker and defending champ, Bryan Smith, in the AFT Twins presented by Vance & Hines Main Event.